If you have a diamond ring and want to raise some quick cash, you may wonder whether it is worthwhile to pawn it for generating quick cash. 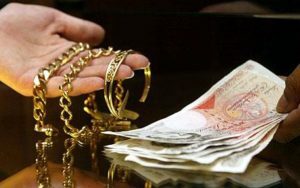 When fast money sounds requisite to you, and you do not also mind to part with one of your precious items for a particular term, pawning may be the best option for you. You can pawn your diamond ring to any reliable high street pawnbrokers in London or any other big city and raise the money you need, while still retaining the right to retrieve your asset after the loan time expires or whenever you want, paying the loan amount along with the due interest. Diamonds are priceless gems and absolutely, for a good reason. Whether your diamond ring is a family heirloom that passed down to you or an engagement ring from a broken relationship, the more you know about the asset, more comfortable it will be to determine the price that you can expect to obtain. One, you will be able to know about your diamond’s characteristics like shape or cut and condition. Second, the pawnbroker can estimate the real value of your asset based on these aspects and the current market price as well as explain to you the factors that may influence the value of your diamond jewellery item. Professional and long-established pawnbrokers also have a convenient online platform where you can fill up a free quote form and receive a no obligation valuation in less than no time. As with any diamond jewellery, a pawnbroker will determine the value of your diamond piece according to its carat. Although diamonds are priced based on four standards, the most significant of the four is carat. Thus, it is essential for you to pay attention to the gold carat markings like 14ct, 10ct and 18ct on the diamond jewellery item you are about to pawn, as your pawnbroker will explicitly look for these markings to appraise your item accordingly. Ideally, cleaning your diamond ring or other diamond items is the best way to exhibit the carat markings and make it presentable as much as possible to ensure a good deal. While streaks or smears can undoubtedly dull the brilliance of your diamonds, such wear and tear may also result in a significant cutback on the loan amount that a pawnbroker is willing to offer. Thus, cleaning your asset is prerequisite before you pave the way to a local pawn shop as it may add a lot to the value you expect to secure from it. How to clean a diamond ring or any other diamond jewellery? You can use mild dish soap and mix it in water to make a handy de-greasing solution. Clean your gem once or twice in a week and make sure to use a toothbrush or any soft utensil for scrapping. Conversely, you can use a jewellery cleaning solution formulated especially for cleaning diamond jewellery. Such solutions can indeed help you to weed out even the most robust junk and dirt, and eventually, bring in a good deal in the end. It is always smooth and hassle-free to get a loan against diamond jewellery from a trustworthy local pawnbroker in London or any other big city, online or via appointment. With professional evaluators on hand and secure online platform, you can opt for a pawn loan filling up an online form from the comfort of your home or any other place. Alternatively, you can bring in your diamond ring to their brick and mortar office (by appointment) and receive an instant cash loan offer without any credit check.